Shopping online for products, services, and even groceries offers a huge convenience and can save you money. However, like with everything there are both pros and cons. 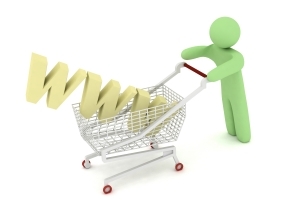 It is important to think about online shopping and figure out if it is right for you. The Internet is a huge marketplace with tons of competition, and that competition is what usually causes online retailers to drastically lower their prices. Additionally, online businesses usually have a lower overhead. These elements allow online businesses to lower their prices and offer you the same product for less. Sometimes this is done by offering a general discount on everything you buy. This is even true of online grocery stores. For example, shopfoodex.com offers discounts on their groceries. The cost of shipping cannot be avoided. You may end up having to pay extra for shipping and handling, even if the products themselves are cheaper than at your local retail or grocery store. Some unscrupulous businesses will purposely charge far more than necessary for shipping, hoping you won’t notice or that you won’t bother emptying your cart once everything is selected. As everyone knows, shopping and running errands takes time. You need to get ready to go, physically travel to the location, spend time shopping, and then wait in line before finally driving back home. This takes away from other ways you could be spending your time. In some circumstances, it can end up costing you money by taking away time spent at work. Compare this to firing up the computer and making a few clicks, and there is no competition when it comes to saving time with online shopping. There is something to be said about being able to touch, smell, and really see the product you want to buy. This is especially true when it comes to clothing. Getting things like the texture of the fabric, the size, coloring, and other aspects is very important. The pictures and descriptions online help, but they are no match for your five senses. Online shopping offers most people a huge convenience. However, it is not for everyone. Consider the pros and cons of buying products online, including your groceries. You may realize that there are some products that are very much worth buying online, while there are others you want to physically shop for. I’m curious to know what things you shop for online. Tell me in the comments below.